What Does Equity Mean in Real Estate? Equity is the difference between the market value of your home and the amount you owe the lender who holds the mortgage. Your equity is the money you'd receive after paying off the mortgage if you were to sell the home. Here's a simplified example: The fair market value of your home is $200,000 and you owe $150,000 on the mortgage. 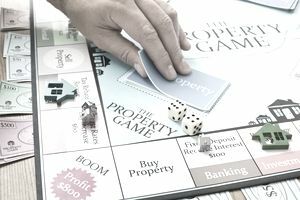 Your equity is, therefore, $50,000 assuming you sell the property for fair market value. Net equity is different from gross equity. It's your gross equity less the costs of selling the home. These costs might include realtor commissions, unpaid property taxes, and any closing costs not paid by the buyer. If your home sells for $200,000 and your mortgage on the home is $150,000, your equity is $50,000—but you owe a commission of $12,000 to your realtor. Your other closing costs such as escrow fees, title charges, and tax prorations add another $3,000 in seller-paid costs. Your net equity is now reduced to $35,000: $50,000 less $12,000 less $3,000. Net equity is the amount you would actually pocket at the end of the sale. How Is Home Equity Built? Homeowners can build home equity in a variety of ways. The money you put into the home as a down payment reduces the initial mortgage. For example, a 20 percent down payment on a home valued at $100,000 is $20,000 so you would start with an equity of $20,000 before you even make a mortgage payment. Your mortgage would be the remaining $80,000 to start. You also build equity with each mortgage payment you make because each payment nips away at the principal balance you owe. Each payment also includes interest on the loan and typically insurance premiums and property tax payments as well. Your equity increases as you make mortgage payments and you can make extra payments to apply to the principal, increasing your equity over time. Your equity increases if you make home improvements that increase the fair market value of your property as well. For example, you might spend $50,000 on remodeling your kitchen and this increases the market value of the home by $30,000. Now you've increased your equity by $30,000, assuming you didn't take out a home equity loan to pay for the new kitchen. This is a hypothetical increase in equity. You'll only really know how much your home increased in value when you sell it or if you have the property appraised by a professional. The fair market value of your home can increase because similar houses in your area are now selling for more. You might have bought your home two years ago for $100,000 with a 20 percent down payment. Similar homes are now selling for $120,000. Your equity in the home has increased by $20,000 due to this rise. This increase is also hypothetical. You must sell the home to realize this equity, but it would also typically be reflected in an appraisal. How Is Home Equity Reduced? You can also see your home equity fall. Values fell in just about every real estate market in the country between 2006 and 2011. When housing values fall, equity falls right along with it. Your equity falls if homes are selling for less in your area, particularly when you're underwater on your mortgage or on the verge of it. You might have bought a home for $200,000 with 20 percent down or $40,000. But the real estate market fell and now similar homes are selling for $150,000. Your equity has dropped by $50,000 so you no longer have any equity in your home. If you sold for $150,000, you would have to come out of pocket to pay the mortgage lender $10,000 to make up the difference. You can also decrease your equity by increasing the principal loans on your home. If you refinance your mortgage or take out a second mortgage or home equity loan, you'll most likely decrease your equity. If your home burns down or is otherwise destroyed in a disaster and you don't have enough insurance to pay for your loss, you've lost your home and your equity. The cost to cure problems will eat into your equity position if you don't consistently make repairs to your home as things deteriorate or stop working correctly. You really only know what equity you have in your home at the end of its sale. If you can negotiate a better selling price, you'll increase the equity in the way of profit. And if you don't pay for repairs as requested by the buyer or give the buyer a credit for closing costs, your equity will rise.